Deep into its second generation, Air Science embraces the diversity and cultural heritage of the founders and co-workers who are continuing a tradition of excellence. The Made in America by the New America campaign is designed to call attention to the company's commitment to adaptation, inclusion, and quality output from a United States-based company with a domestic and global reach. Air Science USA, LLC is a company with a flat organization structure, where decisions are made by top management on the spot and with minimal bureaucracy. The company culture is a blend of first and second-generation family, immigrant expertise and craftsmanship, and a shared desire to experience the American dream. Through the consultative sales model, customer needs are evaluated before products are recommended. Air Science continues to listen to and learn from those who use their products around the world. Andy Chambre is the founder and CEO of Air Science, LLC and has been associated with the ductless fume hood industry for more than 25 years. He was formerly the US Vice President for Captair Labx and President of Astec Microflow US. He was named President of Filtco Corporation in 2003 and currently also serves as a Director of Air Science Technologies Ltd. in the UK. Mr. Chambre has written numerous articles on fume hood safety and assisted in the development of safety standards by serving on various committees such as the Canadian Standards Association subcommittee on fume hoods and the SEFA 9 Ductless Enclosures Committee. With his industrial engineering background, Andy Chambre found himself attracted to the demanding life science market. In the mid-1990s, Andy was deployed to Johor Bahru, Malaysia on a two-year project to set up a facility for the manufacturing and distribution of ductless fume hoods and lab furniture to serve the South-East Asia market. This experience set him on the path of a niche market that would apply much of his engineering background and expertise in carbon filtration technology to a new class of laboratory and industrial airflow systems. These systems were being developed to meet an emerging demand for containment of chemical vapors emitted through laboratory and industrial research processes worldwide. In the USA, the mandate for protecting workers and the environment, together with government and industrial hygiene regulations imposed for capturing hazardous fumes in the workplace, was creating challenges for facility managers who previously relied on ducted fume cabinets to exhaust toxic chemicals to the outside. As the economic and social movement toward energy sustainability began to grow, laboratory planners were faced with the need to conserve power, especially where costly air conditioned or heated air was being removed along with the chemical byproducts. Concurrent with this, the development of self-contained carbon filters with specially conditioned carbon granules was encouraging the design of a new class of ductless fume hoods that minimized installation expenses and brought a range of utility benefits to a broad assortment of applications. It was on this landscape that Andy Chambre built his career. In the early days following the completion of the Malaysia project, Andy acquired sales and distribution rights to a line of ductless fume hoods manufactured by other companies. He benefited from hands-on experience with end-use customers who provided a new perspective on the value of ductless fume hoods. Facility managers at the time were reluctant to trust personnel safety to new technologies that were not yet widely adopted. While Andy knew carbon filtration was a good idea, he understood their rationale; he knew it would take time to educate the market. Armed with engineering, manufacturing, purchasing, market, and customer knowledge, Andy continued to sell ductless fume hoods while focusing on filtration and finding better methods for the composition and design of carbon filters. The key to carbon filtration was – and remains – the chemical preparation of carbon granules with extraordinarily large surface areas on a molecular level. This process is referred to as "activation." 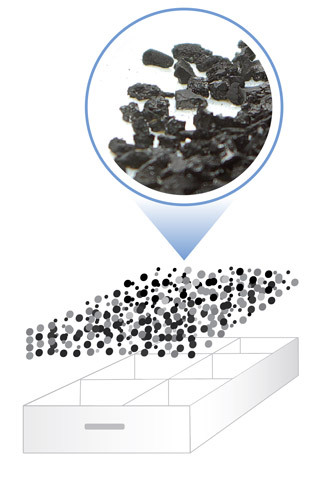 A single gram of activated carbon, usually made from a specific class of coconut shells, has a microscopic surface area of 500 to 1500 square meters. Properly coated with chemical substrates that adsorb and trap different classes of chemical vapors, these carbon granules, arranged within a single filter frame and positioned within the airflow of a fume hood, have the capacity to intercept extremely high volumes of toxic, organic compounds that otherwise would be recirculated into the room. As Andy gained expertise in carbon filter design, including the processes of blending, layering and stacking multiple activations, he confronted chronic quality issues with fume hoods manufactured by his principal suppliers. The need to remediate incoming products in his own warehouse before shipping to customers caused delays, increased costs, and restricted the growth of his distribution company. Though he continued to shop for the best suppliers, at one point importing ductless fume hoods from Southeast Asia, product quality did not meet his high personal standards. A natural entrepreneur faced with chronic product quality problems, Andy recognized that inferior products, though produced elsewhere, negatively impacted his own brand. Andy was certain he could do better on his own. Barely a year after the tragedy of 9/11 and amid an uncertain economic environment, Andy made a commitment to expand Air Science from a distribution company to a full-fledged manufacturing operation. The initial operation was small. It focused on manufacturing parts and operating systems essential to building ductless fume hoods and carbon filters. Now for the first time, the entire quality equation, from components and manufacturing to customer service, was Andy's alone to manage. Locals often admit that nobody is actually from Florida. The population swells with the seasons, with vacationers and new residents who are eager to escape the northern climates. Andy, a New Englander, is no different. After honeymooning in Florida, he and his wife, Diane, knew they wanted to live there someday. 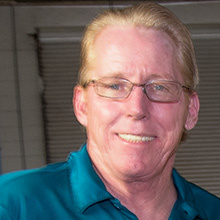 The evolution of his distribution business provided the perfect opportunity to migrate to the then sleepy, West Coast town of Fort Myers, Florida. Known more for tourism, vacationing, and oranges than manufacturing, Andy's business idea was unique. He wanted to build things and he set out to find a place to set up shop. 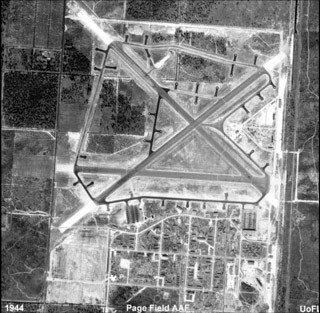 During WWII, the small Fort Myers airport, Page Field, played host to the US Army. Nestled in the flatlands between marshes and mangroves of the Caloosahatchee River and orange groves to the east, Page Field was the ideal place to train military pilots. The once small airport grew with aircraft hangers, machine and repair shops, barracks, and a campus of administrative and utility buildings until the facility returned to civilian control in the mid-1940s. Increased commercial air traffic demand prompted the development of a new regional airport east of the city. 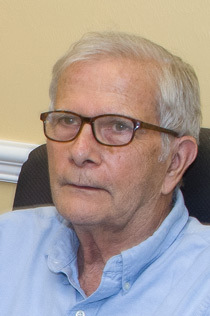 A need to expand economic development options necessitated establishment of the Lee County Port Authority who acquired Page Field to utilize the various buildings that were ideal for light manufacturing tenants. Air Science was quick to join other manufacturers who were looking for an ideal location, plenty of space and room for expansion. With that timely property transaction, Andy's vision had its first real building. It wasn't long before space ran out. Andy acquired another building next door. Then another. And what was once a hub for civil aviation and Army pilot training became the Air Science USA, LLC manufacturing campus we know today – with still more room to grow. The science of carbon filtration was not that new when Air Science USA, LLC began, but processes for capturing chemical family classes were evolving. The idea of capturing dangerous chemical vapors without exhausting to the outside through costly ventilation ductwork systems was a leap of faith for facility managers and lab safety officers charged with protecting their personnel as well as the bottom line. As the concept of using ductless fume hoods to contain chemical vapors was taking hold in Europe, the practical benefits of these energy-efficient containment technologies were not lost on American-based manufacturers already serving laboratory equipment markets. The era of ductless fume hoods was beginning. At the same time, industry associations and third-party safety oversight agencies were working with manufacturers to establish standards and best practices for personnel and environmental safety, airflow directions and velocities, VOC monitoring, and common criteria for performance. Credibility for ductless fume hoods entered the mainstream as lab planners, consulting engineers, specifiers, and facility managers searched for ways to save money. 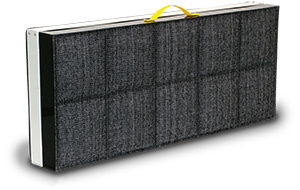 As the reputation for quality filter development grew, customers turned to Air Science for replacement carbon filters for ductless products manufactured by other companies. This demand led to an expansion in carbon filter production, development of new methods for creation of adsorption substrates, testing of combination filters developed as part of the Air Science Multiplex filtration process, and capital investments in tooling for hundreds of fume hood models and sizes. 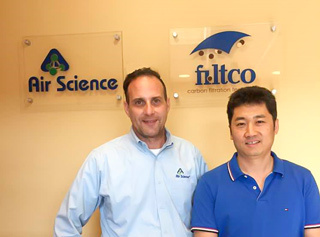 To most efficiently meet this demand, Air Science established a separate company, Filtco Filters, to offer online sales of replacement filters worldwide. A companion replacement filter reminder program assists laboratory safety officers in maintaining optimum filter operation by encouraging and simplifying the process of new filter installation and used filter disposal. Andy's learning curve was developed from the inside out. 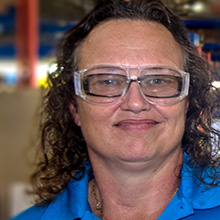 From his early days setting up manufacturing lines in Malaysia to his time on the road selling ductless fume hoods one cabinet at a time, Andy learned that customers liked the idea of his product, but were unsure about the safety of carbon filters. Andy knew it was up to him to educate the market on the efficacy of carbon filtration. This added depth to his belief that every product his company sells, even to this day, is the result of a consultative sales effort. In his own words, "an educated customer is one of our best assets." For this reason, Air Science manages a closely held direct sales team comprised of experts who advise customers on product selection, best practices, and safety requirements. The basics of any fume hood are rooted in management of airflow and exhaust: both primary functions in removing bad air from good air. With the proper arrangement of components it is possible to manage airflow in both horizontal and vertical orientations, a simple equation that can be configured among a broad range of application specific products. Today, the Air Science product line provides solutions to forensic, animal research, botanical, 3D printing, biotechnology, and related markets that rely on clean air, containment, and personnel and environmental protection. Lee County, Florida offers one of the most diverse demographic profiles in the United States. The Air Science labor force mirrors Lee County demographics. 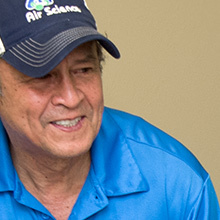 More than 50% of Air Science employees legally emigrated from Latin America to follow the American dream. 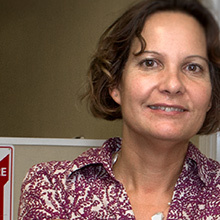 They have spent much of their careers building Air Science USA into a global competitor. 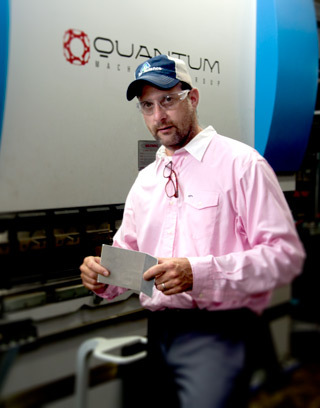 Andy Chambre credits much of Air Science's success from product quality based on the work ethic of his factory workers. Andy's son Paul knew as a child that he wanted to go into business with his father. Theirs was and remains a particularly close relationship that brings stability and shared values to the entire company. Paul gained valuable manufacturing, purchasing, and enterprise systems experience while working as an industrial consultant in Hong Kong following his college graduation. The attention to detail brought forth by a highly trained work force has eliminated the quality problems that plagued Andy's early Air Science distribution company. By taking control over the supply chain, much of which is now managed in-house, Andy and his team are able to establish and maintain quality standards for each component that goes into an Air Science product. Regardless of significant investments in pre-production tooling, automated metal and polypropylene feedstock cutters and the latest welding technology, each Air Science product is hand crafted, tested, inspected and warranted prior to shipment. By streamlining the sales process with a direct sales force, Air Science can offer a high-quality product at a price where cost savings revert to the customer. New marketing and communications tools continue to position Air Science as a market leader in customer education, lab safety, non-traditional product applications and custom engineered products created for highly specific uses. 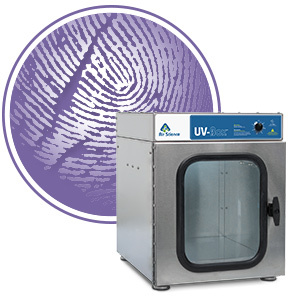 The Air Science website at airscience.com includes a growing library of literature, white papers, and applications notes associated with the use of ductless fume hoods in life science, forensic, pharmaceutical, animal research, industrial and commercial markets. Confident in a sustainable and dedicated workforce, Air Science USA, LLC is now expanding its presence in key international markets in China, Australia, the United Kingdom, and France, with other geo-specific markets in development. Enabling this expansion is the Air Science investment in training and education tools which accelerate onboarding of international distribution specialists who bring the Air Science consultative sales model to a multinational customer base. A.G. (Andy) Chambre begins a two year assignment to set up a sales and manufacturing operation in Johor Bahru, Malaysia to serve the Southeast Asia. Upon his return from Asia, Andy is appointed as U.S. President, Astec Microflow Ltd.
Hoodcair Service Corp acquires the U.S. assets of Astec Microflow Ltd.
Esco Micro Pty Ltd appoints Hoodcair as its first USA distributor for fume hoods, laminar flow products and Bio Safety Cabinets. Andy establishes Air Science Technologies USA LLC to replace Hoodcair. Air Science becomes the sales organization for USA manufactured products. Air Science establishes a subsidiary, Filtco Inc. to manufacture ductless fume hoods and filters for all competitive ductless fume hoods worldwide. A 10,000 sq.ft. manufacturing facility previously used as a military storage depot in the Page Field area of Fort Myers, FL is acquired. 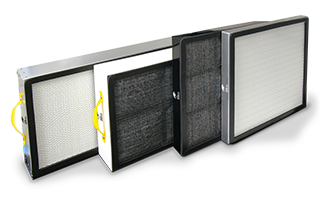 Air Science introduces an advance line of EFT carbon filter products featuring enhanced filtration technology. Filtco obtains two additional manufacturing buildings adjacent to its original location to provide 45,000 sq.ft. of additional space. Air Science integrates all manufacturing operations with the addition of a highly automated machine shop. The company also establishes in-house steel fabrication capabilities to support introduction of a stainless steel product line. 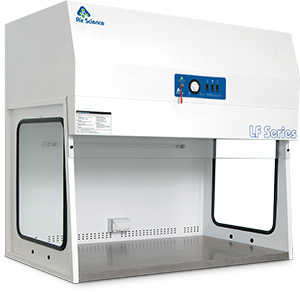 Air Science introduces a range of Class II, Type A2 biological safety cabinets. Air Science introduces new products to address market needs in forensic evidence processing and storage, nanoparticles, safe mail and package handling and PCR protocols.